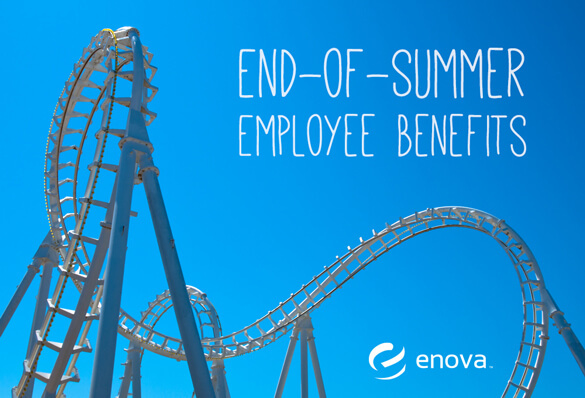 Enova Steps Up End-of-Summer Employee Benefits - Enova International, Inc.
It’s hard to top the fun of a summer in Chicago. But as the season draws to a close, Enova’s HR department is making it even easier for our employees to enjoy life with more additions to the benefits we provide. What better way to stave off oncoming winter doldrums than with deals on Cirque du Soleil, Las Vegas shows or Broadway shows in New York? Our partnerships with benefits providers give Enova employees access to discounts, preferred seating, hotel accommodations and car rentals. In Chicago, they can get deals on Six Flags Great America, sporting events, Blue Man Group and a ton of other events. Enova’s benefits help our employees get the most out of life. With discounts on personal cell service, we make it easier to stay connected to friends and family. Getting around town and driving to work just got easier, too, with deals on ZipCar memberships and parking near our downtown headquarters. Our employees know the benefits of exercise, so we’ve also partnered with gyms around Chicago to offer discounted memberships. Our teams of employees looking for challenges like Tough Mudder or the Spartan Race get discounts on those, too. As Enova grows and we hear what our associates are looking for, we continually add new benefit programs to make working here more than just a job.